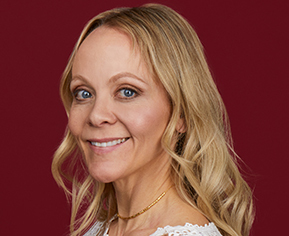 Maria Molland Selby is the CEO of THINX Inc. with 21 years of experience in the development and leadership of e-commerce, digital media, and technology businesses. Prior to THINX, Selby was the co-founder of Splacer, a venture-backed marketplace dubbed the "Airbnb for events and services," with a presence in NYC, SF, LA and Miami. Previously, Selby served as an advisor to eBay's CEO. She was also Chief European Officer at Fab.com, where she was responsible for leading the European business, which served 25 countries, with websites and mobile apps in English and German. Before Fab, Selby held global executive roles at companies like Thomson Reuters, Dow Jones, Yahoo and Disney. While Chief European Officer at Fab.com, Selby grew revenues 400 percent over an 18-month period while becoming more profitable. She grew Europe from 10 percent of global sales to 45 percent in 8 months and saw $100 million in revenue in 2013 up from $12 million in 2012. She oversaw the launch of iOS and Android apps in October 2012 and by March 2013, mobile generated 35 percent of revenue. Merchandise on the site grew from 1,000 skus to over 12,000 skus and included a line of Fab-branded products in Europe. In Germany and the UK, she launched TV advertising, which substantially uplifted brand recognition and revenue. She built and executed a strategy to enable Fab Europe to have best in class operations and customer service, dramatically decreasing the average time of delivery—from 28 days in July 2012 to 4 days in May 2013. While at Fab, Selby appeared on CNBC, providing insight on how startups can quickly become successful. While at Reuters, Selby created the Digital Ventures Division, a group that advanced the Thomson Reuters’ innovation agenda by building new consumer digital media businesses. In this role, she delivered a suite of groundbreaking products that leveraged Reuters’ large audience of affluent business professionals in a way that uniquely benefits the Wealth Management division. Selby received her BA in Economics, Phi Beta Kappa, from Northwestern University and her MBA from Harvard Business School.